From an "Oh No" To "wow"
4:- Bead Blast Cylinder; no oil or carbon is allowed to enter the plating room. 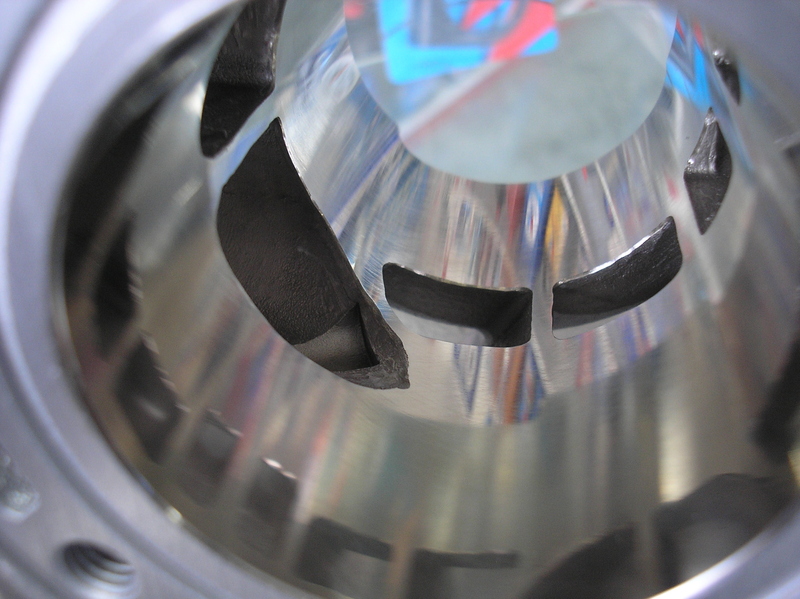 5:- Strip old plating; a chemical strong enough to dissolve steel and nickel is used for this. 7:- Bore to clean weld or for a big bore piston kit. 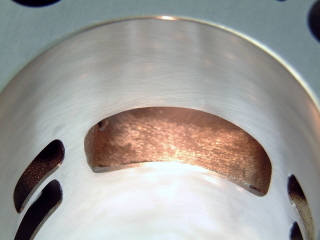 11:- Remove excess plating from edges of ports and bottom of cylinder. 14:- chamfer ports, dress head gasket surface. If you send the power valves with the cylinder we can check that there is no plating build up to make them stick.